We are currently recruiting for the position of Temporary, Full Time Firefighter (Seasonal). This challenging and rewarding position is the first step in your firefighting career. This position is a full time, temporary appointment. 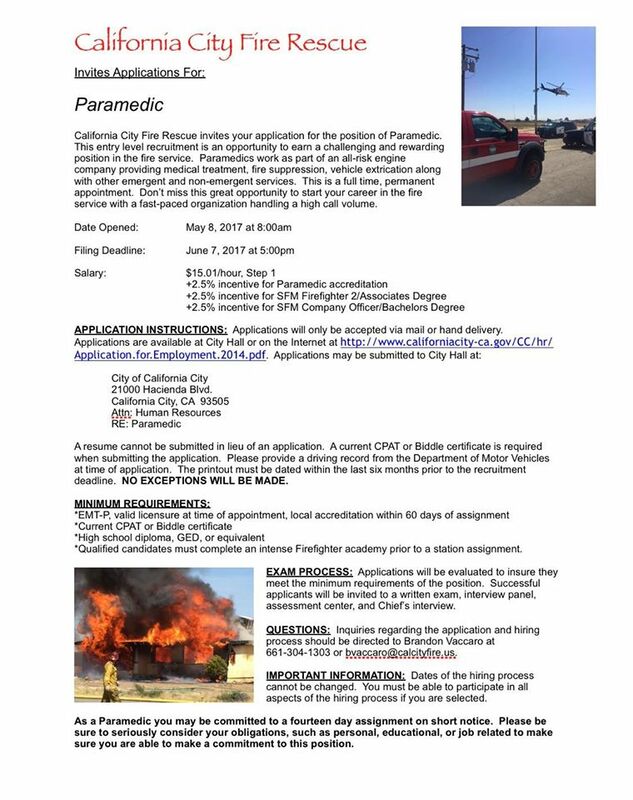 Please see the attached job fliers for additional information and application instructions. The application deadline is May 22nd, 2017, so act fast before the recruitment ends. 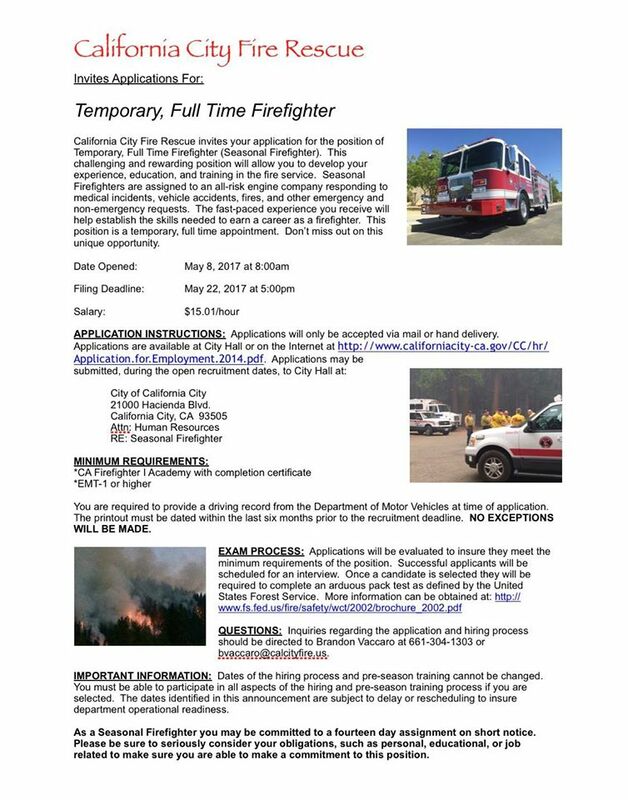 We are currently recruiting for the position of Firefighter/Paramedic. This challenging and rewarding position is the first step in your firefighting career. These positions are full time, permanent appointments. Please see the attached job fliers for additional information and application instructions. The application deadline is June 8th, 2017, so act fast before the recruitment ends. We are currently recruiting for the position of Paramedic. This challenging and rewarding position is the first step in your firefighting career. These positions are full time, permanent appointments. Please see the attached job fliers for additional information and application instructions. The application deadline is June 8th, 2017, so act fast before the recruitment ends. 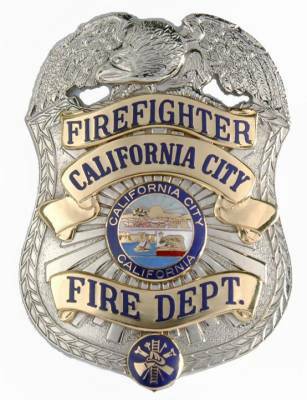 We are currently recruiting for the position of Firefighter/EMT. This challenging and rewarding position is the first step in your firefighting career. These positions are full time, permanent appointments. 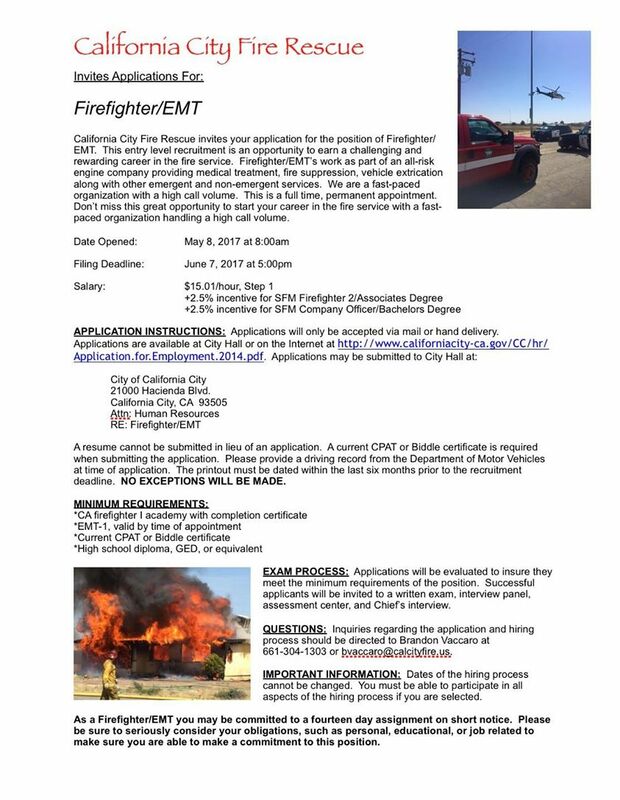 Please see the attached job fliers for additional information and application instructions. The application deadline is June 8th, 2017, so act fast before the recruitment ends. 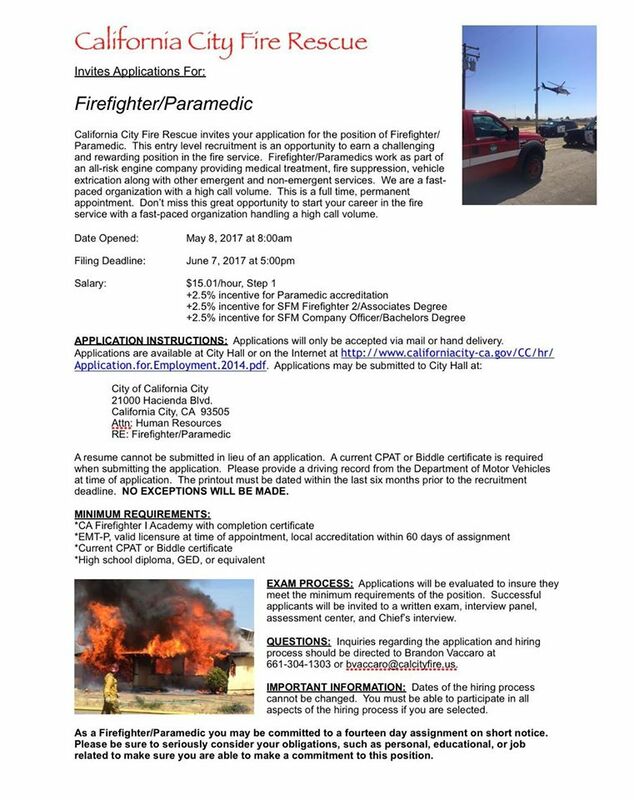 Applications must be submitted to City Hall in person or by mail prior to the recruitment deadline. 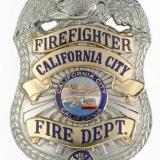 Thank you for your interest in California City Fire Rescue.